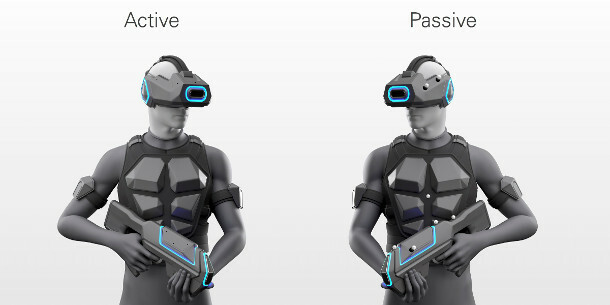 Mocap hardware firm OptiTrack has released OptiTrack Active, a new active optical tracking system geared towards tracking players’ headsets and props in “theme-park scaled VR experiences”. The system, which will be on display at GDC 2017 this week, is OptiTrack’s first venture into active optical tracking, having previously specialised in passive optical mocap systems. The system is based around LED controllers – matchbox-sized PCBs with eight on-board LED lights – that emit wide-angle infra-red signals that can be tracked by OptiTrack’s cameras. The firm is specifically pitching its Slim 13e model, which has a resolution of 1.3 MP and a frame rate of 240 fps – and which, at $1,499, is $500 cheaper than its passive tracking counterpart, the Prime 13. The OptiTrack Active controllers can be mounted on VR headsets or handheld props like weapons, enabling operators of VR attractions of the type provided by firms like VRcade to track their players’ movements. According to OptiTrack, the system can track 100 objects over “areas greater than 100’x100′ (30mx30m)”. OptiTrack Active is available now. We can’t find any pricing information for complete systems on the company’s website, but you can buy the Slime 13e cameras individually for $1,499 each.